The second phase of the Belo Monte ultrahigh voltage power project in Brazil, spanning more than 2,500 kilometers and with some 4,500 base towers, is likely to start commercial operations by the third quarter of this year, according to the State Grid Corp of China, the operator of the project. The project, which is currently under system debugging, is the longest 800kV ultrahigh voltage electricity transmission project worldwide and spans 78 cities in Brazil, including Rio de Janeiro and across the huge Belo Monte hydroelectric dam in the Amazon area of the populous center-south region. The company, which has become the largest power distribution company in Brazil, believes China's ultrahigh voltage direct current transmission technology will play a significant role in optimizing the energy structure in Brazil, enabling long-distance, high-efficiency clean energy transmission in the country. The total investment for the second phase of the project was 18.6 billion yuan ($2.77 billion) and has substantially boosted imports of electrical and construction service equipment, according to Cai Hongxian, the chairman of State Grid Brazil Holding SA, a unit of State Grid Corp of China, and the CEO of the second phase of the project. As most of the purchases will be conducted locally, the project will also provide more than 16,000 employment opportunities in Brazil and higher tax revenues, it said. 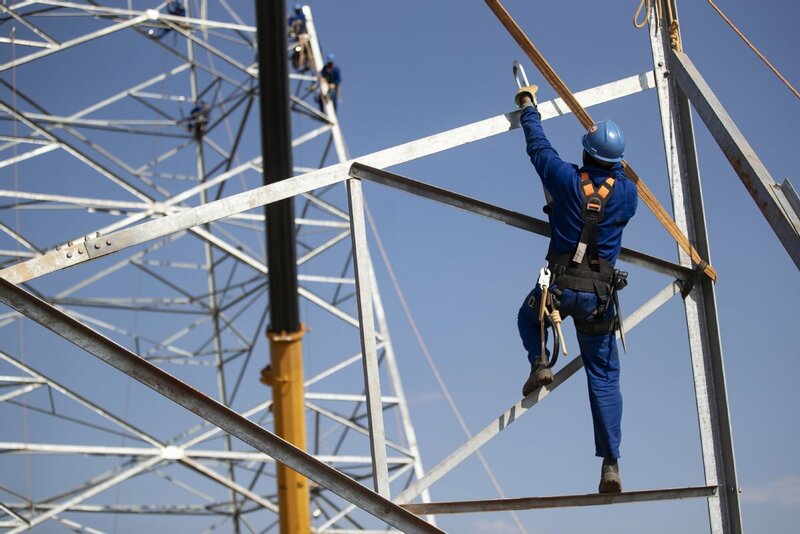 This is the company's first ultrahigh voltage electricity transmission project abroad with independent investment, construction and maintenance. The company has also achieved success in power connections in countries and regions involved in the Belt and Road Initiative while eyeing further inroads in the future, it said. Zhang Zongxin, a converter station director at the project, said a lot of advanced Chinese ultrahigh voltage electricity transmission technology has been applied in the project. China is competitive in electricity equipment and technology, which will help the world in electricity supply and energy transformation, he said. China's advantage in UHV direct current power transmission has substantial potential in countries and regions participating in the Belt and Road Initiative, according to a Bloomberg analyst. The country's UHV technology could help ease the challenges of long distances between the supplier and the customer in Brazil, said Joseph Jacobelli, a senior analyst of Asia utilities at Bloomberg Intelligence. Brazil has been working on transmitting electricity from hydropower stations in the Amazon region in the north to areas with huge demand, such as the southern states of Sao Paulo and Rio de Janeiro. This is similar to China, which also has a vast territory with energy consumption centers far from resources. China's long distance ultrahigh voltage electricity transmission, under the circumstances, has an obvious advantage, it said. The first UHV direct current transmission line in China, built by the State Grid in 2007, has helped ease energy pressure in commercial centers like Shanghai and in Xiangjiaba, a remote village in southwestern China along the Yangtze River. The company has become the world's largest utility company and the second largest in the Fortune Global 500.